I’m sorry but you can’t tell me that e-books are a passing fad. I read an article the other day that convinced me that we have only begun to realize the magnitude of advancing digital technology. The article was about eight year old children who are learning computer code in schools. The article supports the importance of keeping school curriculum current and relevant with advancing technology and doing away with outdated ways of teaching and learning. Young children are those who, in the future, will drive independent publishing and digital technologies to areas that we can adults can not even fathom. We can personally resist reading e-books and continue reading books in print, but the reality is that e-books are becoming a growing presence in our world. Electronic books are what the next generation of readers will want because they are so accustomed to using digital technology. In the end, it will become all about supply and demand. 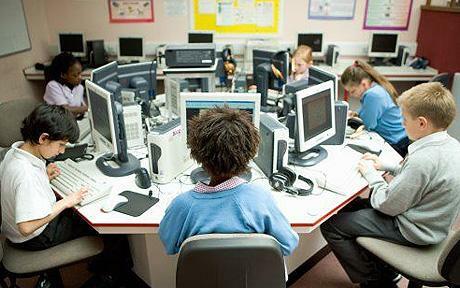 To read more about Why Your Eight Year Old Should be Coding, here is the link. It concerns me that if American schools do not have the resources to keep up with other countries, our workforce will be supplying products that people don’t even want or can not use and this country’s workers will not have skills that will be useful in business. Knowing how to write computer code will be an advantage for all kinds of careers in the future. This morning, I’ve been thinking about all the blogs I have written over the past few years. Some mornings, I’ve had a very clear vision for what I want to write about and other days, it’s a hazy start. For me, the key is not to aim for perfection on the first draft. Eventually something usually takes hold inside of me, the words begin to flow. Soon a clear vision comes through and I find direction in my writing. Occasionally, however, I have to scrap everything and start all over. On those days, I vow I must put in an order, over the internet, for Joseph M. Williams and Gregory G. Colomb’s publication Style: Toward Clarity and Grace. 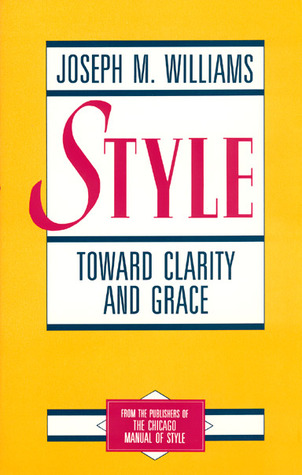 According to Williams, a professor of English at University of Chicago, until 2008, “it is good to write clearly, and anyone can.” This book is a good resource for all writers to put on their bookshelf because there isn’t a writer who doesn’t face the challenge of not being able to write succinctly from time to time. There’s a new generation of students, however, who we will feature tomorrow on All Things Fulfilling, who are being taught to understand cryptic and obscure language at a very young age. Not all folks can interpret the symbols behind the writing they are studying. Return on Monday to All Things Fulfilling, where sharing independent thoughts, words and views is all part of the business. This blog is brought to you by www.CornerstoneFulfillmentService.com. The first quarter of 2013 will soon be coming to an end, and reports on book sales in 2012 have been complied and released from many sources. E-books continue to increase in popularity, as technology continues to offer improved products such as digital readers, and tablets. According to The Kids and Family Reading Report, published by Scholastic, “as much of 46% percent of children have read an e-book.” They are being used more frequently in the classroom and for this tech savvy generation of children, e-books designs are incorporating interactive features that children like. Attached is an article from Venturebeat.com about e-book sales in 2012. I’ll let the information speak for itself, rather than try to interpret it for you. http://bit.ly/Zq5L8s . Not convinced this is a fair assessment of the e-book market? 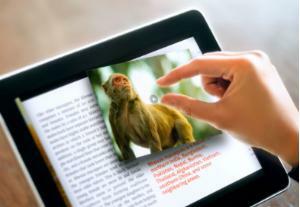 Here are a few other articles which also cite a growing demand for digital books. From analyzing the reports, there is a healthy market for e-books. The growing use technology in our lives, an increased focus on sustainable, green living, the affordability of e-books and the ability to store books in a computer or handheld digital device rather than on bookshelves that take up space in rooms, in my opinion explain why e-book sales is a growing market. Welcome back. Today, we will provide you with very useful information. If it is not helpful to you now, it may be in the future, so bookmark and save it. A new book, independently published, titled Copyright Clearance for Creatives: A Guide for independent publishers and their support providers has just been placed in my bookcase, on an eye-level shelf, right where I can find and reach for it easily. Sample letters for seeking permission on using quotes, photos, song lyrics. On-line search sites for obtaining copyright information for periodicals, books, music and images such as maps, labels, cartoons and fine art images. The differences between public domain, stock and private collection images. 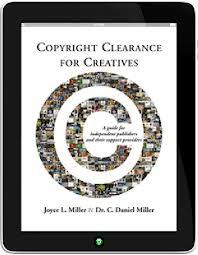 Husband and wife team, Joyce L Miller, and Dr. Daniel C Miller, authors of Copyright Clearance for Creatives, provide leading edge information on rules and regulations and licensing of digital content. This book will need to be updated frequently to keep pace with ever changing copyright regulations. Thus, it is available paperback and e-book format, so that it can be easily revised and kept current. Click for Info & Ordering. A little background about the qualifications of the authors – Joyce L. Miller is a consultant to independent publishers and is co-founder and co-owner of Integrated Writers Services. http://www.writerservices.biz/. She has over twenty years experience in publishing, copyright and copyright compliance including being an intellectual property manager for NASA’s Classroom of the Future. For every writer, musician, filmmaker, or any other individual involved in the art, marketing or design field, Copyright Clearance for Creatives should be in their library, either in paperbound copy or on as an e-book acquisition. The rise of independently published books, film and music has made great strides, thanks to the development of technology. 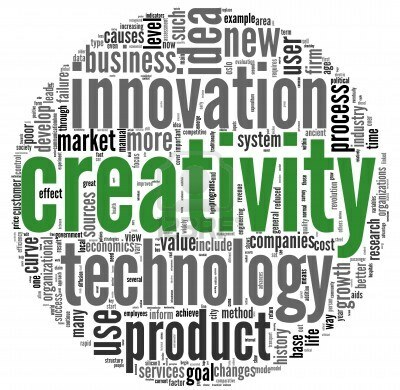 Tools of the trade that were only available to major publishing houses, movie studios and music/sound production companies, now can be mastered by anyone with the right education, artistic talent and a “head” for all things technology. Quality, desk top published books for print and electronic formats, visual effects in movies and synthetically produced audio sound, are all now made possible through computer technology. In the 2010 summer issue of Movie Maker Magazine, there is an article about the creation of stunning special effects for a multi-award winning movie, in a college dorm room, on a mediocre computer. http://bit.ly/VY8nbP. Steps to becoming a successful innovator of any kind, takes hard work, all-encompassing focus and drive, entrepreneurial spirit and gumption. It is not for a person who is not highly self-motivated. But then, isn’t that how our forefathers made this country what it is today? Hard work, not handouts, ambition and vision drove pioneers in all kinds of industry – building railroads, the industrial revolution, mining, manufacturing, agriculture and much more. Children, through the use of technology, will become innovators of the future. They’ll be the next generation to revolutionize library content, health care solutions, military capabilities and new creative ways of teaching.